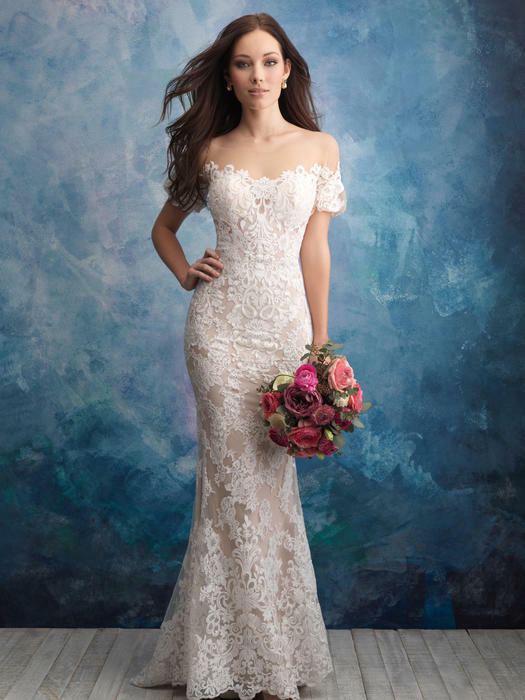 Start off your happily ever after in a gorgeous wedding dress by Allure bridal. 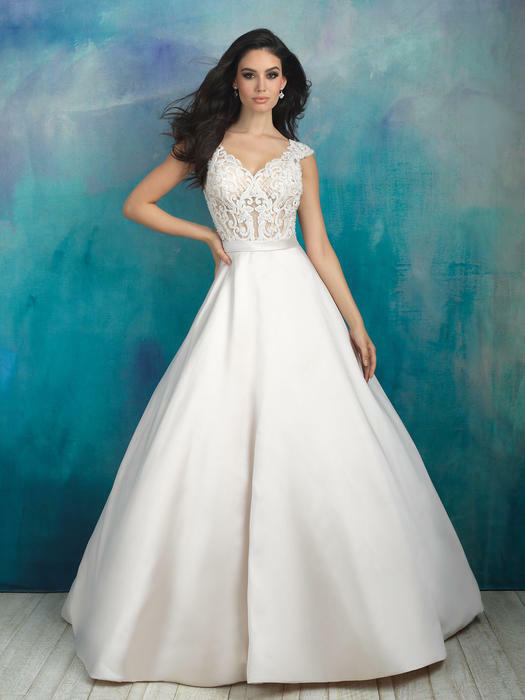 Allure wedding dresses have the dreamy look of a fairytale wedding but modern designs to show your unique style. 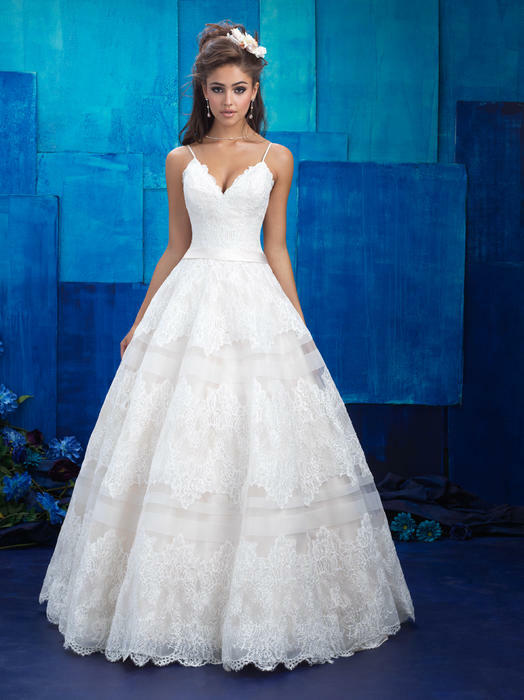 If you are searching for that classic look with details such as soft lace and beaded embellishments, there are many options of Allure bridal gowns in their Romance collection. 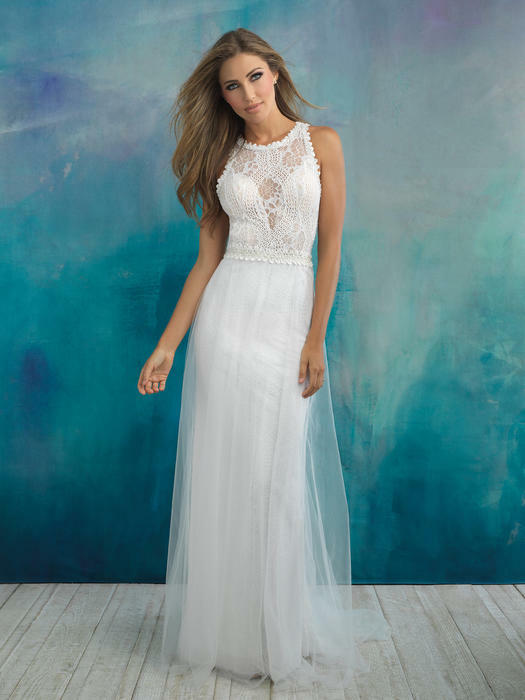 If modern chic sleek dresses with laser cut lace patterns and sheer bodices are what you are looking for, Allure Bridals and Allure Couture will be the collections to look at. 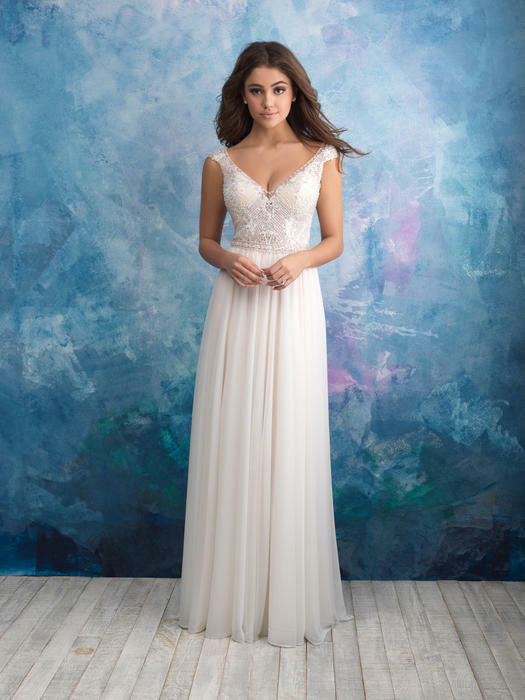 Inspired by the latest trends, Allure bridal features gowns with a range of neckline styles so any bride can feel their best on their wedding day in Allure Bridal. 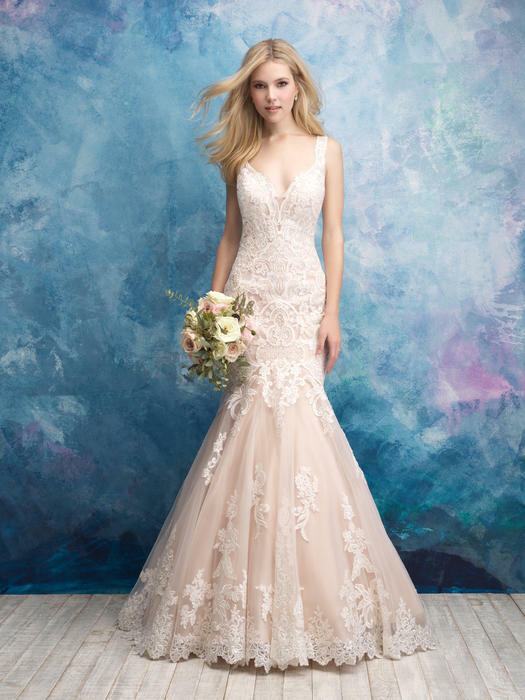 Whether it's a plunging sweetheart neckline, or a more modest look with sheer fabric and lace details, Allure bridal gowns have beautiful designs that are perfect for every unique style and body type. 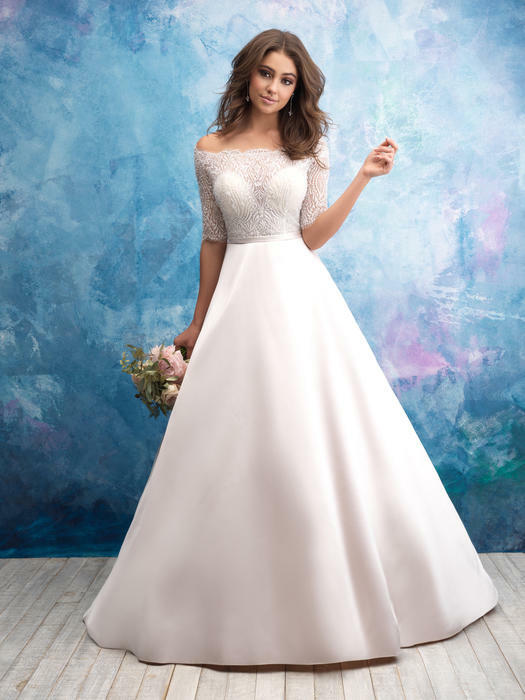 Royal weddings have sparked some of the biggest wedding trends, and it's easy to see how both Duchess Kate and Duchess Meghan have influenced the bridal gown industry around the world: Kate, with her glamourous all-over-lace, subtly body-conscious style, contrasted nicely with Meghan and her elegant off-the-shoulder gown in crisp fabric with few embellishments. 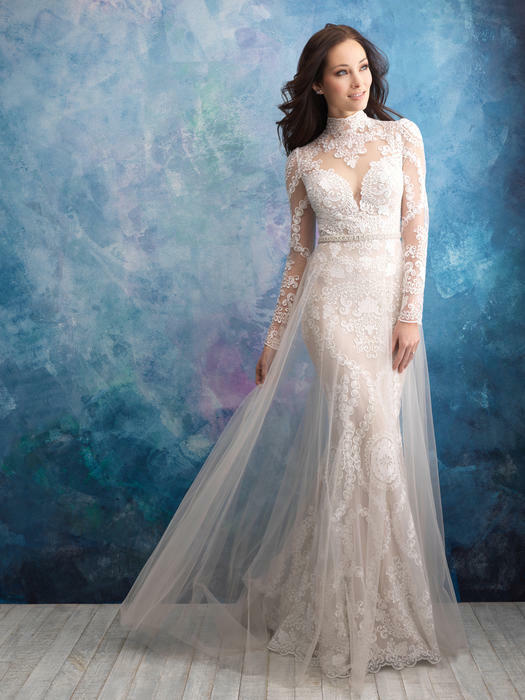 Regardless of these trends, be true to your own style and make sure you express a one-of-a-kind look in your wedding gown. 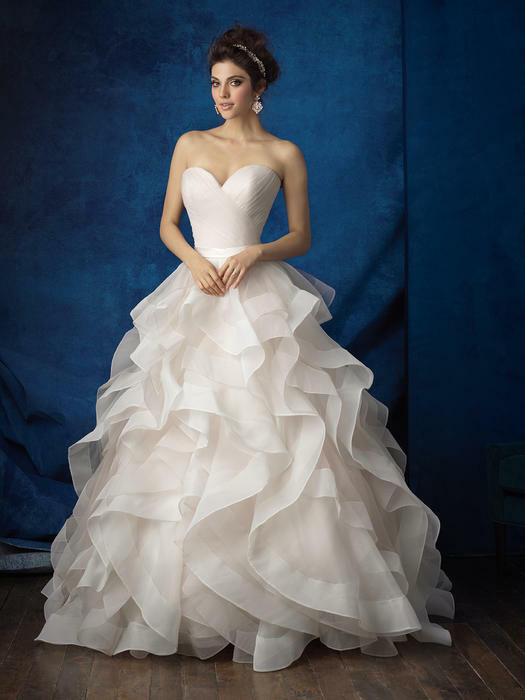 One of the most important considerations in choosing a wedding dress is being true to yourself. While your friends and family may have some insight, you are the one wearing the dress and that might come down to what you truly feel beautiful in, rather than what might be the favorite of the group. Also, you want to feel comfortable in your wedding dress, because nothing is more beautiful than confidence. Trust us! It will reflect in the videos and photos for many years after your special day. 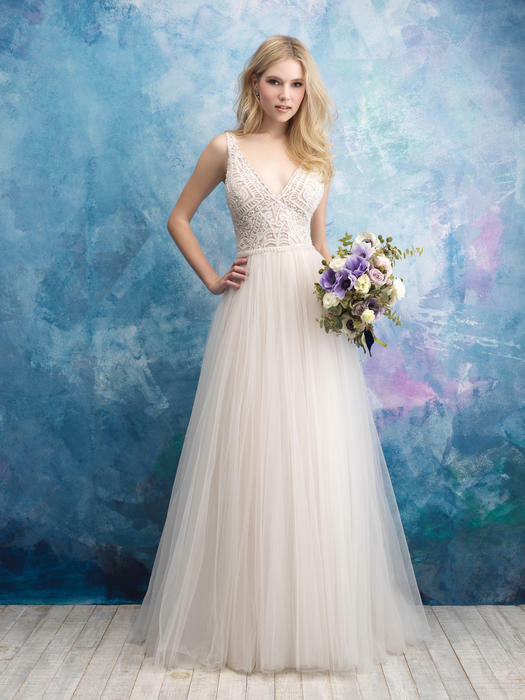 With the largest selection of Allure bridal gowns on the West Coast, PreVue Formal and Bridal is committed to helping you find your gown and say yes to the dress! 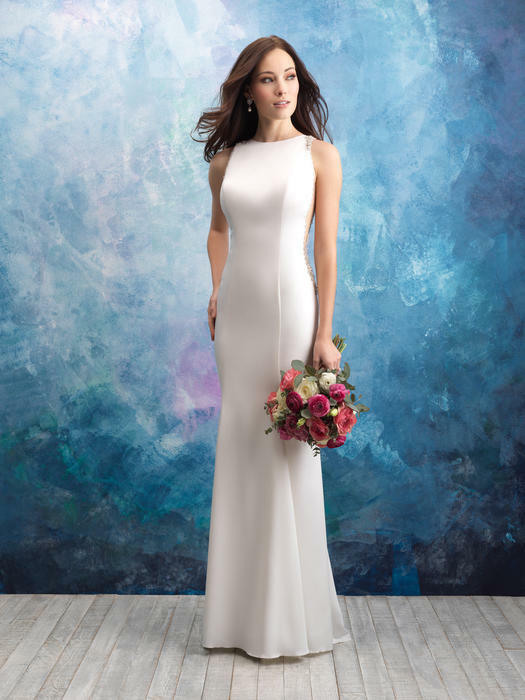 Shop Allure Bridal at PreVue and be prepared to say 'I do' to a dress with timeless elegance and modern glam.